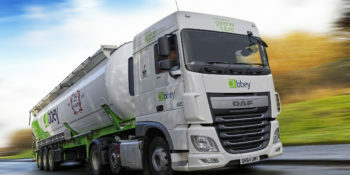 Abbey Logistics is one of the UK’s leading bulk powders road tanker companies and operates the UK’s largest fleet of bulk food powder road tankers. We offer unrivaled flexibility, short lead times and enhanced customer service for dry, granulated and pourable products across a diverse variety of sectors. Our fleet includes bulk silo tanks, vacuum tanks, urban delivery tanks, tipping tanks and silo evacuation tanks which operate throughout the UK and in Northern Europe. 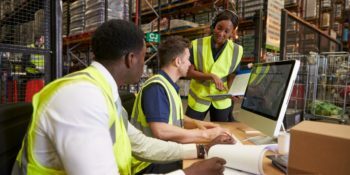 Customers include major manufacturers in the food, plastics, minerals, construction and non-hazardous chemicals sectors. Our modern fleet incorporates the latest technology to increase safety, compliance and service and also weight saving initiatives to maximise payloads. All vehicles are fitted with the latest telematics and transport management technology enabling vehicle and load track and trace, leading to the most accurate scheduling and forecasting so our customers know where their products are at all times. Abbey Logistic’s vacuum silo powder tankers provide silo evacuation for a wide range of dry products. The vehicles are used to clean silos to prepare for a new product or in the event of an accidental spillage, the tankers can be deployed at short notice to minimise damage, contamination or loss of product. Abbey’s vacuum silos have a capacity of up to 60 cubic meters and can be deployed anywhere in Europe to collect product from tower silos, silo trailers and containers, barrels and drums, and virtually any other vessel containing non-hazardous powder materials. Abbey provides multimodal transport solutions for the shipment of bulk food liquids and powders throughout the UK and Europe with our fleet of 20 foot and 40 foot ISO tank containers.